Your organization needs to ensure that critical IT systems are always available to support core business functions. Unfortunately, maintaining IT systems with an in-house IT staff can be costly and inefficient. Consider turning over your daily managed IT service needs to Rapidsoft Systems. We can be your complete IT service management solution supporting all your servers, network appliances and desktops. Your systems are monitored and supported both remotely and locally 24/7 and problems are fixed before they can present a problem. Get live support via telephone or through the Internet 24 hours a day, 7 days a week. You can speak to an Rapidsoft Systems employee here in the US if you have a problem. We can fix most problems remotely, so that you can be back up and running without having to wait for a technician to come to your office. 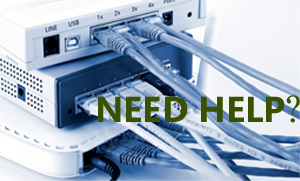 We can help with server, desktop and network issues. It doesn’t take long for a virus, hacker or denial-of-service attack to take down your network, or for an unauthorized user to steal company secrets. What are you willing to risk? Virus infections, malware attacks or a hacker can easily gain access to your computer network if it isn’t properly secured and maintained. Many unmanaged computer systems have outdated patches, antivirus software that’s not up to date, and unmonitored firewalls. Your business in the Seattle area needs an experienced IT security consulting team to oversee your most vital asset. 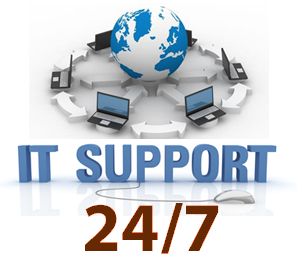 Rapidsoft Systems's Remote Support service is available 24/7. Around the clock support makes it possible for engineers to take care of any IT system issues as soon as they are discovered. If any part of your organization’s IT systems develop a problem, all your organization needs to do is call Rapidsoft Systems and report the issue. At that point, Rapidsoft Systems will remotely access your organization’s IT systems and initiate Remote Support to address the problem. Cloud services are no longer the big enterprise product! There are cloud solutions that will fit practically any business model. We have partnered with some of the most trusted, well recognized and customer service oriented vendors in the cloud service industry. We work with companies such as VMware® (Certified Partner), Microsoft® (Certified Partner), Rackspace®,and others. Cloud services become more acceptable by many businesses in various industries. More business owners realize the power of flexibility, security, mobility and capital savings advantages that cloud services bring to the business world. With today’s struggling economy, retaining an expensive full-time tech support staff can be cost-prohibitive. But to ensure a productive working environment, you need the reliable service and expertise to recommend preventative measures and troubleshoot hardware and software issues. Rapidsoft Systems has the solution—our dependable, full-service managed services plan takes care of all of your technical needs with one easy, efficient point of contact. Value: We offer affordable, fully customizable support plans to accommodate any budget, saving you thousands of dollars off what you’d typically spend on full-time IT salaries each year. Speed: Tired of waiting hours—or even days—for emails and phone-calls to be returned? With Rapidsoft Systems, you’ll always receive prompt, same-day attention to ensure a swift resolution to your hardware and software issues. Our expedient support personnel are even available on evenings and weekends. Expertise: We understand that your operating systems, networks, and workstations are critical to the integrity of your data and the efficiency of your day-to-day operations. You can trust your valuable equipment and software to Rapidsoft Systems. With more than 10 years of experience providing businesses with professional, results-oriented tech support, we’re always abreast of the latest cutting-edge technologies and industry developments.